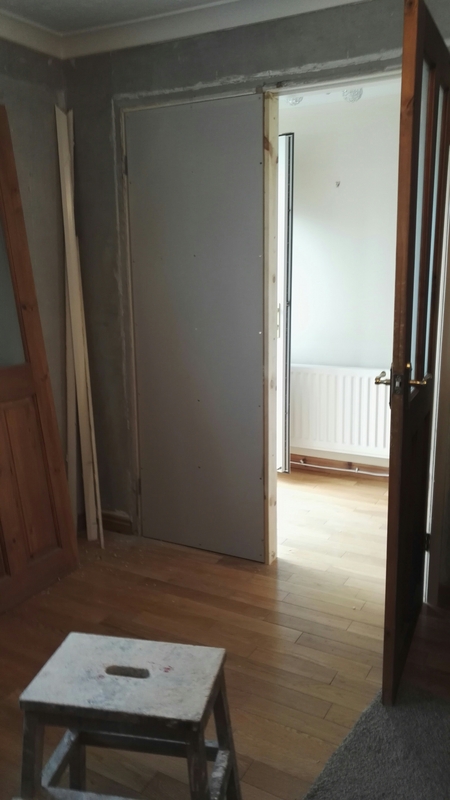 Double door entrance to sitting room turned into on door entrance. 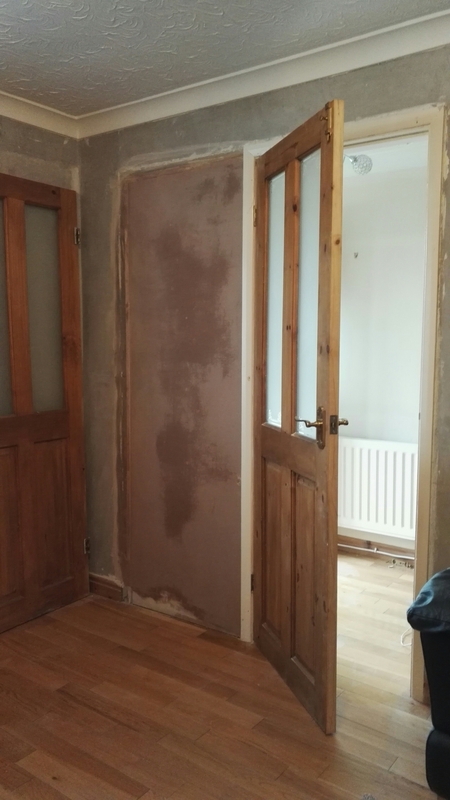 Finished off with a plaster skim, once dry will blend in making a one door entrance. 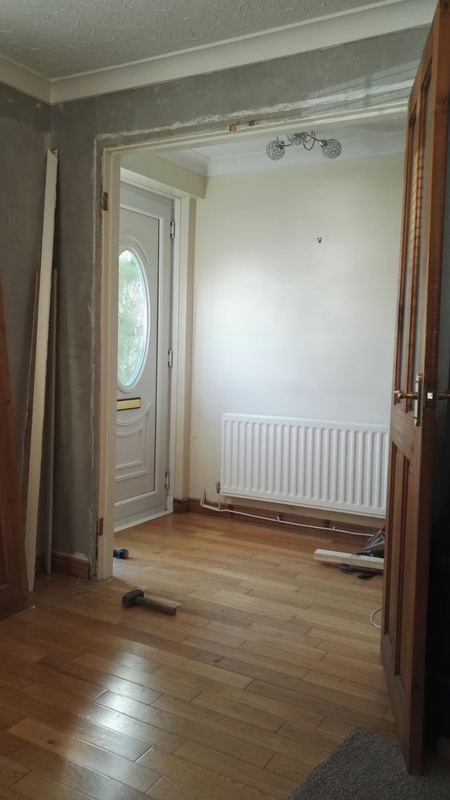 Just needs painting now. Nice.